The project described in part 1 took place in 2002/2003. In 2008 I visited Ryedale to talk to some of the people who had been involved in the original project, and to see how Ryedale had changed. It is hard to say which of these changes were due to the project, but as you will see below, there were several indications that Imagine Ryedale had had lasting effects. They just covered what individual organisations were doing anyway, so there was no need to meet or collaborate. To achieve obesity prevention and weight management, promoting healthier and more active lifestyles, for people living in Ryedale. To provide real opportunities for people who live, work and visit Ryedale to be involved in issues and decisions that affect them by using approaches that are proactive, inclusive and appropriate. The second example was RYECAT, which stands for Ryedale Community Transport. It was floated off from Ryedale Voluntary Action to become an independent operation. It ran Ryepod, an all-purpose vehicle equipped with IT and a kitchen. In the evenings it was used to provide a mobile youth service. It could also be used for consultations, as it seats ten people comfortably. The base for community engagement before Imagine Ryedale was very low. 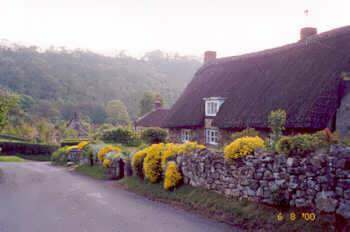 Ryedale is inward-looking and traditional. People expected consultation that asked, “This is what we plan to do, what do you think about it?” So Imagine Ryedale was a refreshing change. Paul Hayward of Ryedale Voluntary Action (RVA) said it was, “Very open and inclusive. It actually did involve people. They felt engaged, and not just consulted. People actually enjoyed it. And for him personally, “It opened my eyes, it was liberating”. Ana Richards, from the Council, said that, “People still mention Imagine Ryedale because it was different. People really got into it.” A range of organisations (for example, Ryedale Voluntary Action, the County Council and the Primary Care Trust) still talk about Imagine Ryedale as good practice for developing community strategies. The method and the approach continue to be used. The Priority Setting day used the Imagine Ryedale process – the story-telling and the dreaming – to establish the four priorities. The Chief Executive at the District Council had an appreciative approach in talking to staff and to councillors: “What do we do well and how can we learn from that to do better?” She made it the basis of a management review. There is some evidence that the organisations involved have become more collaborative. Paul Hayward said that, “it helped make people realise that they had to talk together.” Marie-Ann Jackson from the council went further and said that it was “used to create a culture of shared ownership”. Many projects have disappeared without trace within a year or two, so I was thrilled to find all these traces.